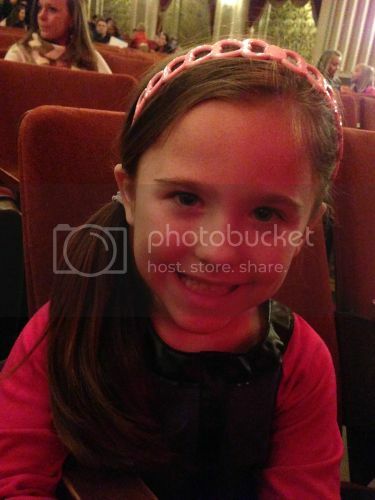 On Saturday, January 11, I took Rory to see her first concert at The Orpheum Theatre in downtown Memphis. I didn't tell her anything about our plans until the day of. About mid-day, I told her we would be leaving Dain with the grandparents because I had a surprise for her. On the way there, I asked her if she had any idea where we were going. She took a few guesses, but seriously had no idea. Once we were parked and walking down the crowded sidewalk, I told her we were there to see a concert. No, it's not One Direction. Is it The Fresh Beat Band? A huge smile spread across her face. She jumped up and down and squealed. We went inside where I bought her a few souvenirs. She chose a pink headband, a light-up microphone and a poster for her room. If you aren't familiar with The Fresh Beat Band, it's a children's show with original pop songs produced for Nick Jr. The Fresh Beats are Kiki, Marina, Twist, and Shout. Kids love it. Parents think it's rather annoying. I will admit that the songs are pretty catchy though. I read a little about the concert the day before. Parents said it was an hour and a half long with a brief intermission. They said their kids had a blast, and that the show was a lot of fun. One mom said they danced a lot, but lip synced. I can tell you that they did not lip sync at our show. 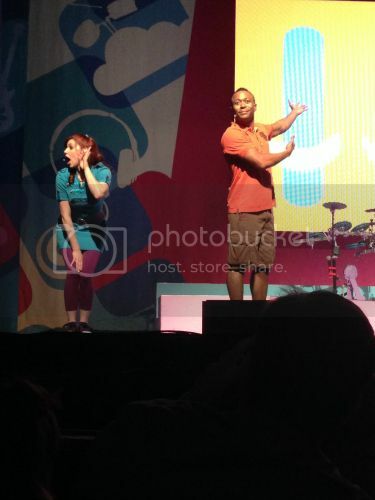 I left with a newfound respect for The Fresh Beat Band. 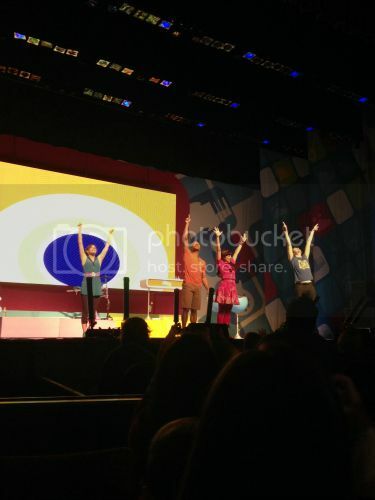 Four young adults from a cheesy children's show put on one heck of a performance for their fans. They sang live the entire time. They danced the entire time. They brought out instruments and additional dancers. They worked the crowd, waved at screaming kids, gave out hugs, and shook hands. I purchased my tickets on Stub Hub a few days before the show. We were on the third row! 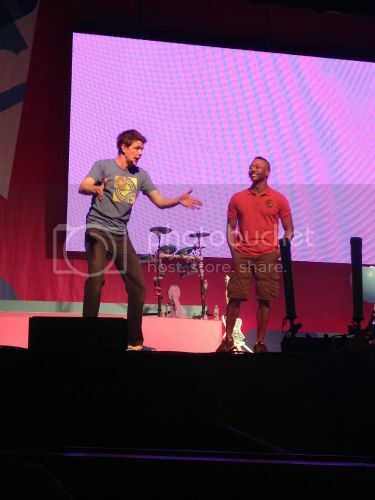 Rory asked before the show started, "Is the Fresh Beat Band real?" Kiki, the brunette girl, came out into the audience and patted Ro on the head. She definitely understands now just how real they are. Between the tickets, souvenirs and dinner after, I probably spent a little more than I wanted to. I would do it all again in a heartbeat though. 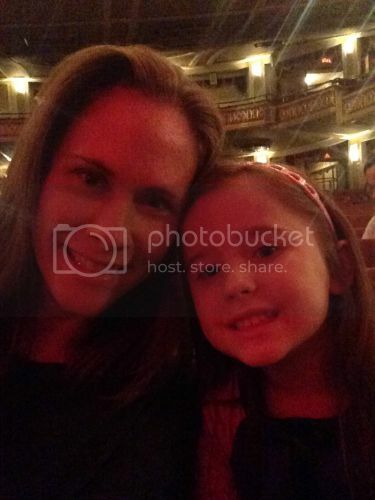 My daughter's first concert experience is something we'll both remember for many years to come. This is so sweet! 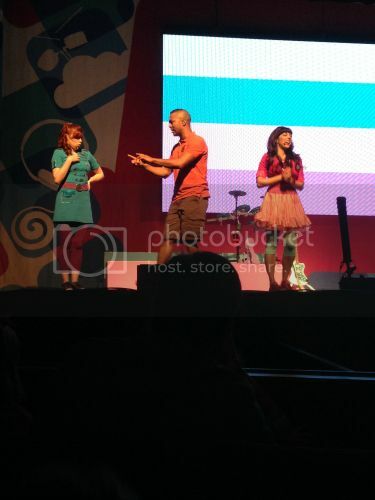 Boomer loves the Fresh Beat Band! 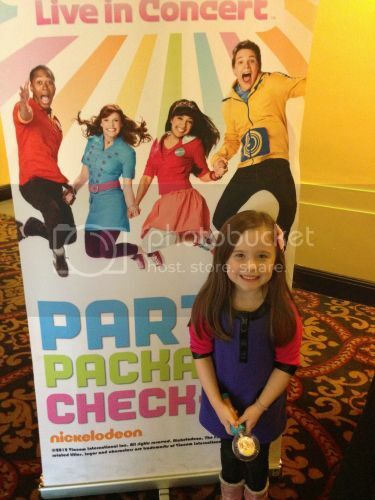 Of all the crap/annoying kids shows out there, I'm ok with her liking this one :) Glad you guys had such a good time! so sweet. she'll always remember this. i remember my mom used to take me to see sesame street live. and when I was 14 and obsessed with hanson, she took me and 3 of my bff's to uptown charlotte for a free crowded concert 2 hours away. rory is a lucky lady. She will remember that day for the rest of her life!! So sweet!! My girls would have died!! Jill was so bummed that you didn't tell her you were going, she wanted to take the girls. That is so sweet. I look forward to stuff like this, but when I saw Sesame Street Live a few years back, I almost lost it, ha. That sounds like such a fun mother-daughter outing. 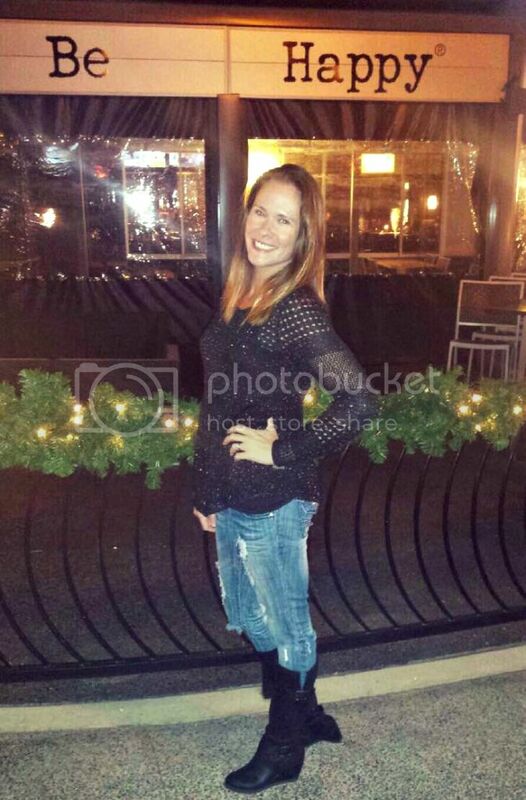 Rory has such a cool mom!